Braven is a household name when it comes to wireless speakers. Founded in 2011 and based in Utah, the company continues to design and manufacture portable Bluetooth speakers that meet the needs of music aficionados. 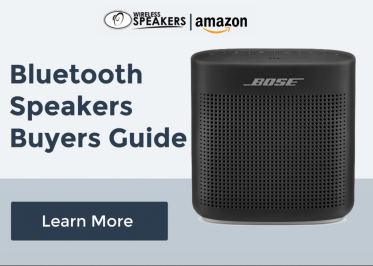 With dedication, they continue to engineer Bluetooth speakers that make it an impressive company. In fact, they’re one of the fast-growing speaker companies around the world. Their Bluetooth speakers come in three different lines. They have the Outdoor Series, Active Series, and Premium Series. Their Outdoor Series shows Bluetooth speakers brave enough to go on any adventure outdoors. The Active Series are Bluetooth speakers meant for music lovers with an active lifestyle or loves pool parties. Their Premium Series shows Bluetooth speakers with a sleek design with exceptional audio performance. Wherever you are and whatever you do, you can find one Braven speaker that fits just right. Aside from speakers, they also have a small range of accessories for gearing up. They offer jackets, water bottles, camping chairs, and t-shirts. The Braven Company is available in several countries through authorized distributors. You can get it in USA, Canada, Australia, Philippines, Japan, Hong Kong, Europe, New Zealand, Thailand, Saudi Arabia, China, Malaysia, and Singapore.